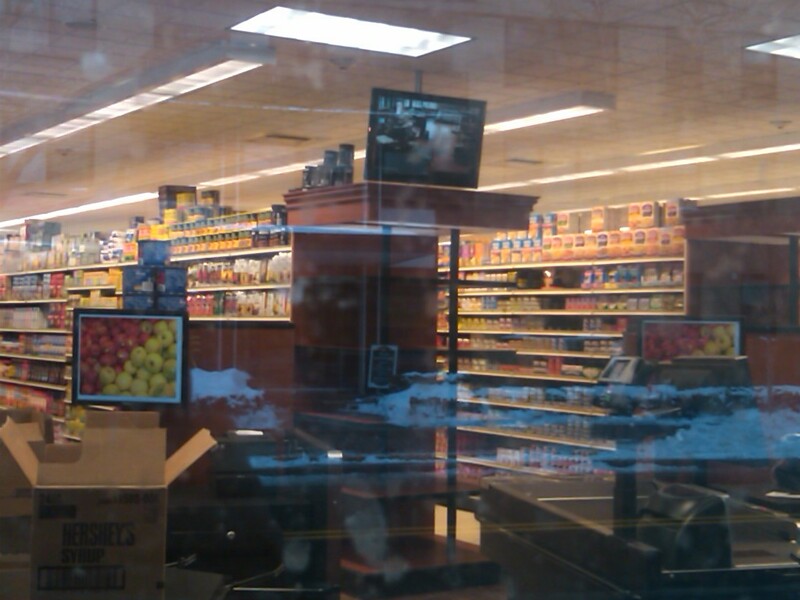 Snapped a picture looking into the Key Foods that's looking just about ready to open at 80 Prospect Street (as Orville rightly noted). They got your canned goods, your rice-in-a-box sort of thing, not yet frozen stuff...but soon to come! I'm kind of excited to roll out of bed for my everyday grocery sorts o'needs. I still don't understand why the Prospect Market across the street is advertising its "New Jersey prices!" but it's something to puzzle over while I'm buying Connecticut stuff I forgot a stone's throw away. I heard on the local radio today that key food opens next week. It also mentioned that they were opening another store in Stamford. Anyone know where it is?